How to set up a blog and use it to document your work in progress and as a portfolio. Tutor will be available for 1:1 help during the workshop. Overview linkedin and similar social media systems. Individual help with blog/portfolio setup and advice. Utilise existing technology to document your work during creation and after completion. tumblr.com – Blog. Themes. Customizable. Advanced API available. 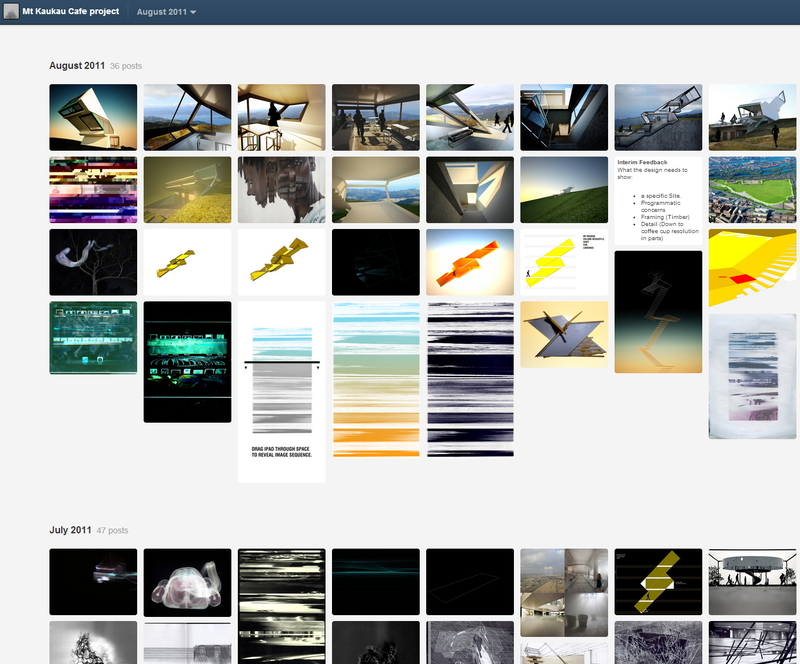 behance.net – Portfolio. Themes. Paid option (custom url) Creative Industry Focused. wordpress.com – Blog. Themes. More customisable. blogspot.co.nz – Blog. Google centric (Youtube etc). Themes. cargocollective.com – Portfolio. Elite. Creative focussed. Invite only. linkedin.com – Portfolio/CV. Industry focussed. Buy a Domain and link it to your Blog/Portfolio system. A collection of your best work to physically take in person.